1975...Photo of Tony backstage after his first performance ever, live on stage in concert at Indian Hills High School in Oakland, New Jersey. A photo of the 45 record cover Tony would listen to over and over again! When Tony was 8 years old he would listen to his mother’s 45 records which consisted of many artists of the day. He seemed to favor the Elvis records in her collection. 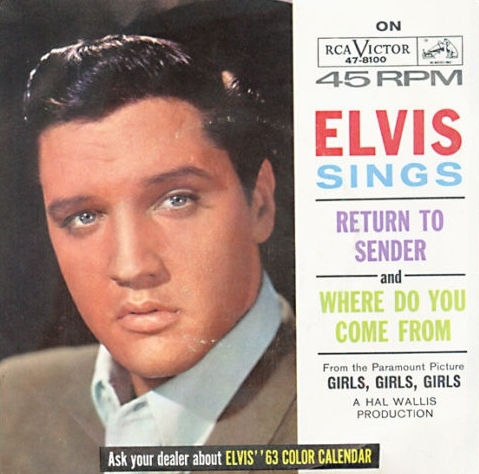 More so Elvis' 45 record from the movie Girls, Girls, Girls the songs Return To Sender with the flipside being Where Do You Come From. In 1968, Tony’s mother made sure she woke him so he could witness Elvis dressed in black leather making his comeback appearance on TV . The following day, Tony began combing his hair back and would no longer listen to the other artists in mom’s collection. Only Elvis was played! 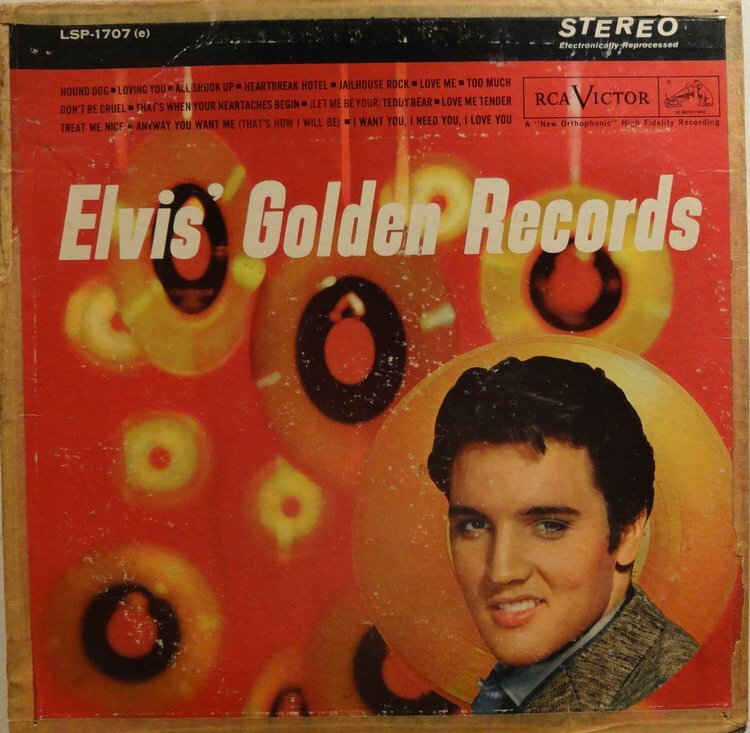 Tony's mom and dad brought him his first Elvis album (Elvis’ Golden Records Volume One) . From that point forward, every birthday and Christmas would bring nothing but Elvis related gifts from his family and friends. Tony would stand in front of a mirror for hours and days on end mimicking his idol. Then in 1975 his parents purchased tickets to take Tony to see Elvis. 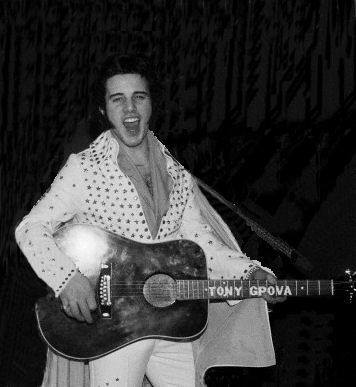 Tony’s Elvis Tribute Artist career began on July 19th, 1975 after seeing Elvis live in concert at the 2:30 afternoon matinee show in Nassau Coliseum, Long Island New York. After seeing Elvis live there was no stopping Tony from what became his life path. Tony started out by making appearances and performing at local school dances and private parties. Tony has been living out his dream performing his tribute to Elvis going on 43 years now! 1978 in New York City. Photo of Tony at his first audition for a movie production called The King of Rock N' Roll which was written and being produced by Elvis' high school friend George Klein. Out of hundreds of impersonators that showed up, Tony was being considered for one of the movie parts but the film never got off the ground. Tony is also wearing his very first jumpsuit and cape that was tailor made by PJ Boutique in Greenwich Village, New York City. After the suit was made Tony personally applied all the studded stars to the suit. Tony has most of his stage costumes from the beginning of his career but sadly enough this suit along with 4 others were stolen and disappeared sometime in the early 1980's from a venue he regularly played at in Hoboken N.J called Henry Yee's Hawaiian Islander. This is the actual first Elvis album Tony's parents brought for him. Tony with his Mom & Dad ...studio portrait. sometime in the 90's.